Don’t forget our next gathering – on Saturday 14th of May – it’s all about preserving! Click the image to view all the details for this event. 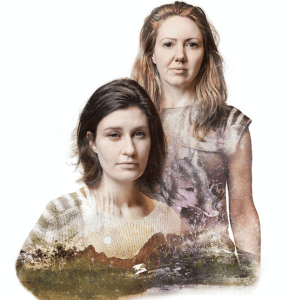 HotHouse Theatre presents ‘They saw a Thylacine’. On an unseasonably cold September day in 1936, the world’s last known Tasmanian Tiger died in captivity at Hobart’s Beaumaris Zoo. Out of the darkness, Sarah Hamilton and Justine Campbell conjure the ghost of one of our lost beauties – the thylacine. With the suspense and warmth of a campfire story, these feisty, funny women weave a lyrical tale of discovery and destruction. Don’t miss this mesmerising theatre experience. S2S Bushlinks invites you to come along to an interactive workshop to learn about the diversity, ecology and curiosities of the fungi kingdom. Dr Alison Pouliot is back by popular demand sharing her wealth of knowledge about Australian native fungi species and their role in the native vegetation systems in our region. We will be launching our new S2S area ‘Fungi Guide’. Be one of the first to grab one of these new identification guides. RSVP essential, by 5th of May, to Holbrook Landcare Network (office@holbrooklandcare.org.au or 02 6036 3181). Murray Local Land Services invites you to a free screening of two Australian natural history films, Battle in the Bush and Where to Eagles Dare. 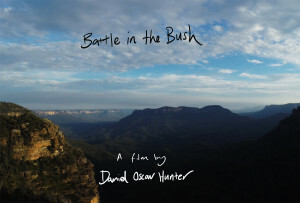 Battle in the Bush film maker, Daniel Hunter, will introduce the films and answer audience questions at the conclusion of the screening. Battle in the Bush explores the role that predators play in biodiversity conservation and the changing face of conservation in Australia. Battle in the Bush is a 35-minute film that explores key questions arising from Dan’s research with the Centre for Ecosystem Science, University of NSW. For more information, click here. RVSP is essential by 18 May 2016, click here to RSVP. We welcome your suggestions for future inclusions in this roundup – feel free to contact us with the details or leave a comment below. This entry was posted in Upcoming events and tagged Albury-Wodonga, events, films, fungi, nature, preserving by Seed Savers Albury-Wodonga. Bookmark the permalink.